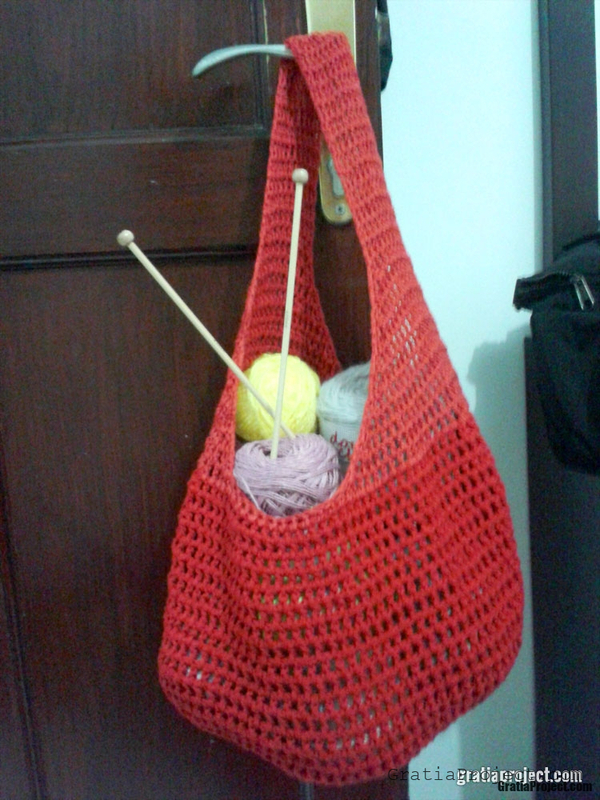 I made this crocheted market bag based on these free crochet pattern from Knitomatic. It’s a great project for beginner, you will learn about how to joining the row to work on the round, and how to decrease the stitch, from the body of bag to the handles. One important thing I learned when finishing this crocheted market bag is that you should always have enough yarn to complete the project. See how my handles color is different with the body?